If you’ve been bathing your dog in the sink or in the bath tub, boy do we have news for you. 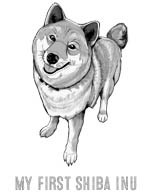 In the sometimes ludicrous world of doggy products, once and a while a real gem comes along. And today were going to tell you about one of those gems: dog bath tubs. A dog bath tub may sound like a luxury, like something you don’t really need. But once you use a dog bath tub, you’ll likely never want to go back to washing your dog in the sink or tub again. There are endless reasons why a dog bath tub is a good investment, as long as you choose one that works well for you and your furry friend. Since there are so many different brands out there, we’ll tell you what to look for and give our own recommendation for the best brand for your money. Why Buy a Dog Bath Tub? Other than being another simply adorable (a tub just for your furry friend!) and nifty -there are plenty of practical reasons for purchasing a dog bath tub. The idea for a specially made dog bath tub likely came from a dog owner; one who was tired of mopping up the floor after each bath, hurting their back bending over the tub, or having to bleach the entire kitchen after bathing the dog in the sink. Minimizes bending over and acrobatics to wash the dog and keep him in the tub. Is the perfect size for your dog! As long as you buy the correct size, you’ll never again have to worry about your dog outgrowing the sink or human bathtub. Eliminates the problem of clogged drains. Despite your best efforts, it’s very likely that a large quantity of dog hair finds its way down your kitchen or bathroom drain, which can lead to clogged drains and expensive plumber calls. As with most products in the pet industry, there are a ton of different “levels” of dog bathtubs, from inexpensive and practical plastic bathtubs to luxurious stand-alone elevated tubs used by professional groomers. What you ultimately purchase will depend a lot on your budget, the size of your dog, how many dogs you have, and how often you need to bathe them. If you have a small dog who you bathe once every two months, you may not want to splurge on the most expensive tub on the market. On the other hand, if you have a very large dog you may have to be prepared to shell out a little more money. How often do you bathe them? Does your dog enjoy being bathed, or is it a battle every time? Do you need a bath with built in restraints? Will the size tub you purchase work for the entirety of your dog’s life, or will they outgrow it? Rubberized grippers. Nothing is worse (and more unsafe!) than a tub that slides around. Invest in a dog bathtub that will stay put.Many brands have rubber bottoms or grippers that keep the tub in place and help keep your pup safe and contained. Cleanliness. Too many grooves are a recipe for mold. The sleeker and simpler the shape, the better! The last thing you want to do is spend an hour cleaning the tub after you’ve cleaned your dog. You should be able to rinse it and simply set it out to dry. Tethers. Many dog bathtubs come with tethers, which act as a mini leash for when your dog is being bathed. This is a great feature for convenience and safety- you will have two free hands to wash your pup (instead of holding them still with one hand) and your dog will stay safely contained in the tub for the duration of the bath. Shampoo holders. While it may seem silly, having a place to put the shampoo and conditioner during a bath is a convenience you shouldn’t have to live without. Look for a dog bath with a small compartment where you can store your bathing supplies. Size matters! If your dog is too big or too heavy for the tub you buy, they may inadvertently injure themselves, either by falling out or collapsing the tub. Be very careful about the listed weight limits. Storage. Don’t buy a huge, stand alone, dog bath tub if you don’t have a place to store it when it’s not being used. Dog bath tubs could range from a simple plastic tub costing $20 to a sturdy, professional grade dog tub costing $2,000+. For this review, we'll focus on the the best two dog tubs for under $200. 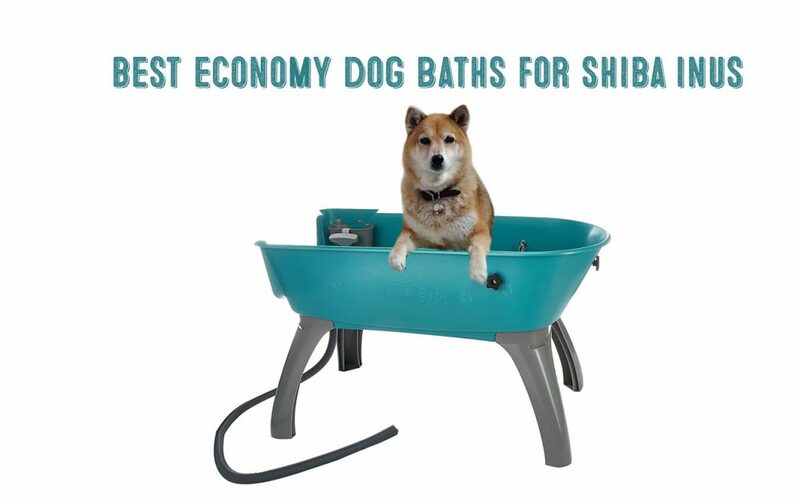 In terms of overall features and cost, one of our favorite economy dog bath that will accommodate a Shiba Inu is the Flying Pig Grooming Portable Bath Tub. The tub is constructed out of heavy duty UV protected plastic and the height-adjustable legs are made out of stainless steel which we love. Additionally, unlike many other dog bath tubs, this tub can fit inside a standard sized tub if needed. The maximum weight load of this tub is 150 pounds though the dimensions of the tub are too small to comfortably fit any dog over 50 pounds. 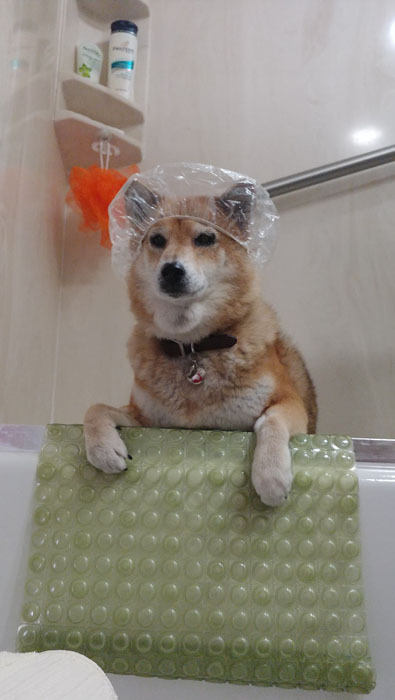 However, this tub is just about the perfect size for Shiba Inus. There are eyelets on the tub so that you can secure your dog with a harness / leash (not included). The Flying pig dog tub can be used both indoors and outdoors. There is a standard drain hole and drainage hose included. We noticed that the hose is on the shorter side, but you can probably find a longer hose to use at your local hardware store. To check prices and availability of the Flying Pig Dog Bath Tub, click here. The Booster Dog bath is similar to the Flying Pig bath but is just a tad bit bigger and come with additional accessories. The Booster dog bath is also similarly priced to the Flying Pig bath and comes with a few accessories that the Flying Pig does not come with. The Booster Bath was created for both canine and human comfort. It will keep your dog safe, secure, and steady while you bathe them, and the elevated tub will save your back and your sanity! One of the few cons of the Booster Bath is that the plastic "legs" used for the bath could be thicker to make it more durable and resistant to the sun. For Shiba Inus, the large sized tub would be the best size. We don't recommend putting any dog over 50 pounds inside the tub even though it states a maximum weight of 125 pounds. Everything, especially plastic has its limits. Also note that most dog bath tubs including the Booster Bath are designed for outdoor use - it needs a water supply line and drainage area. Indoor use is possible, but you need to make sure you have enough room to fit the tub and have an available water line as well as drainage area. The Booster Bath will also NOT fit into traditional bath tubs. To check the latest price of the Booster Bath Dog Bath Tubs Large, click here.